Do you ever have a craving for a sweet little treat but want it to be healthier? Of course you do, we all do. These Keto Coconut Macaroons are perfect little keto cookies with spectacular flavor. These Keto Coconut Macaroons are not only gluten-free but, they’re also low carb. Who knew a sweet treat could taste so good and still be healthy? 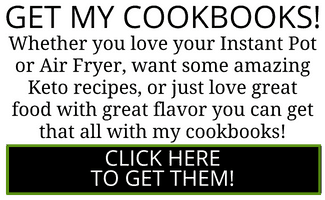 Well, I did, and love these enough that I’m going to show you how I make them so you can enjoy them too. I am a huge coconut fan. I know coconut is one of those tricky ingredients. Not everyone loves it but, at the same time, many people love it. You either love it or your hate it and I, personally, love it. If you’re like me, then you are going to love these Keto Coconut Macaroons. Did you know that coconut is high in iron, zinc, and fiber? That’s right, coconut has quite a few nutritional benefits. That’s what makes me love these Coconut Macaroons even more. Macaroon, Macaron, what’s the difference? Macaroons are typically coconut-based and have at the very least, egg whites, coconut, and a sweetener. 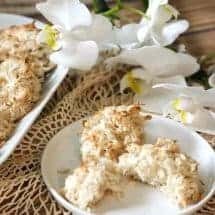 There are a lot of not-so Keto Coconut Macaroon recipes that use condensed milk but that doesn’t work for me. I find Macaroons a lot easier to make since you basically mix in a bunch of ingredients in one pot and voila! Cookies! Macarons, on the other hand, are meringue-based, and let’s face it, are VERY fiddly to make! There’s a reason they’re so expensive to buy because they’re actually a pain to make if you ask me. One word of caution though. Don’t subsitute Coconut flour in this recipe, in place of almond flour. 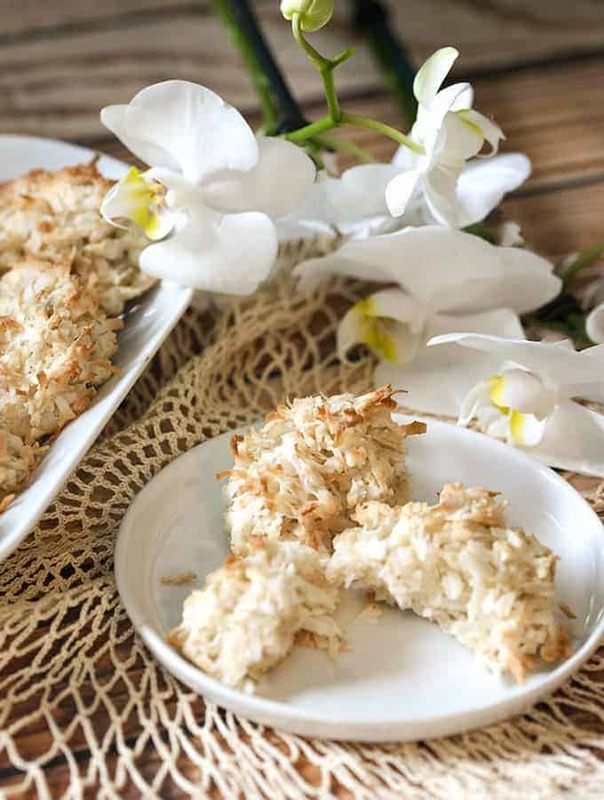 Those two do not act the same way in recipes, so stick to the way I’ve written this recipe for Keto Coconut Macaroons, and soon, a plateful of delight will be yours–or you could be nice and share. Looking for more delightfully coconutty recipes? 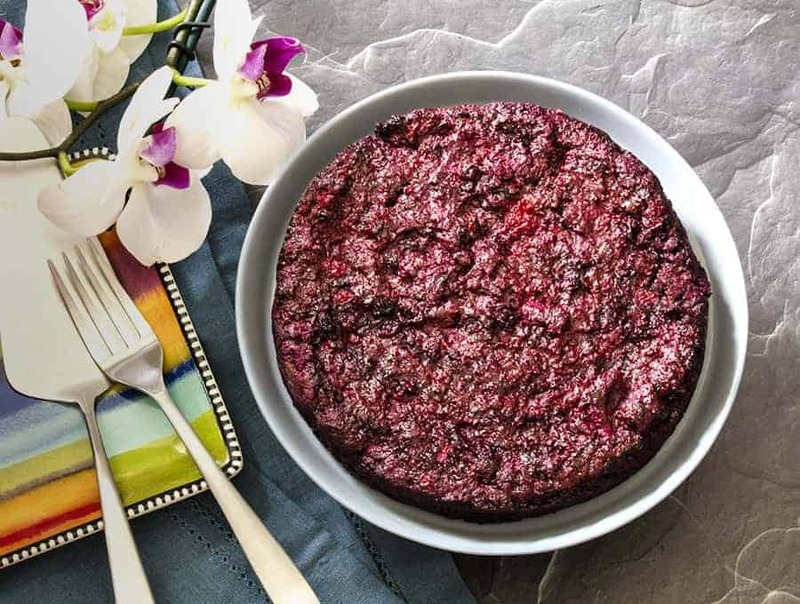 Check out my Blackberry Coconut Bake! 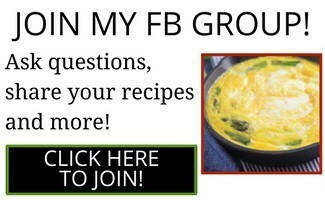 It’s super easy to make and low carb as well. 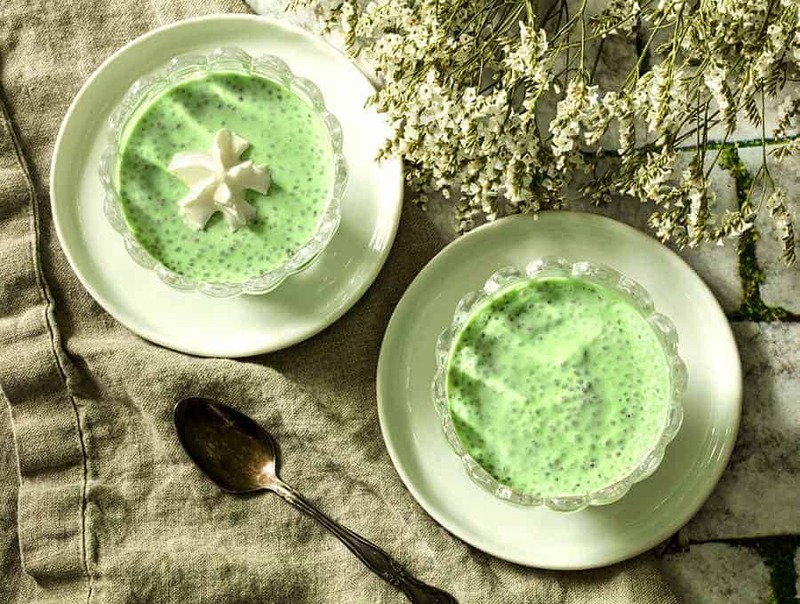 And if you’re craving coconut but are on a vegan diet, check out my Coconut Pandan Chia Seed Pudding. It’s super yummy and is done in just 10 minutes! 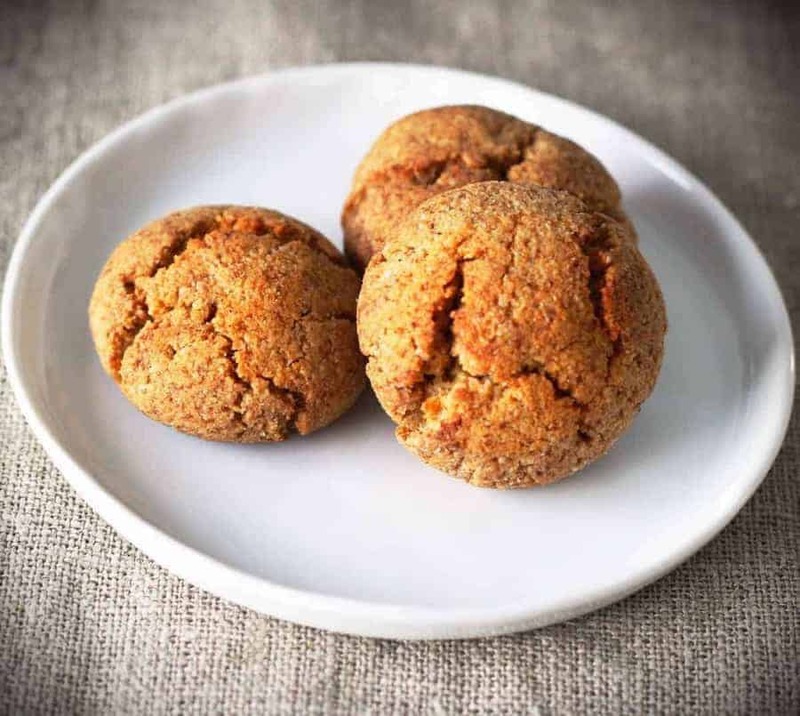 And if you’re looking for more great keto cookie options, check out these Gluten-Free Spiced Keto Cookies! 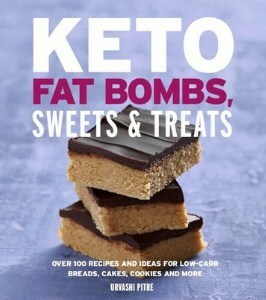 They’re so good you’ll hardly believe they’re keto! You can’t beat a sweet treat that’s low carb and gluten-free. Coconut Macaroons have always been a favorite dessert of mine. However, when I adjusted them to be healthier, keto cookies, I couldn’t stop making them. Remember, eating better and more low-carb doesn’t mean you need to eliminate your favorite foods and desserts, it just means you need to get smart about how you make them. 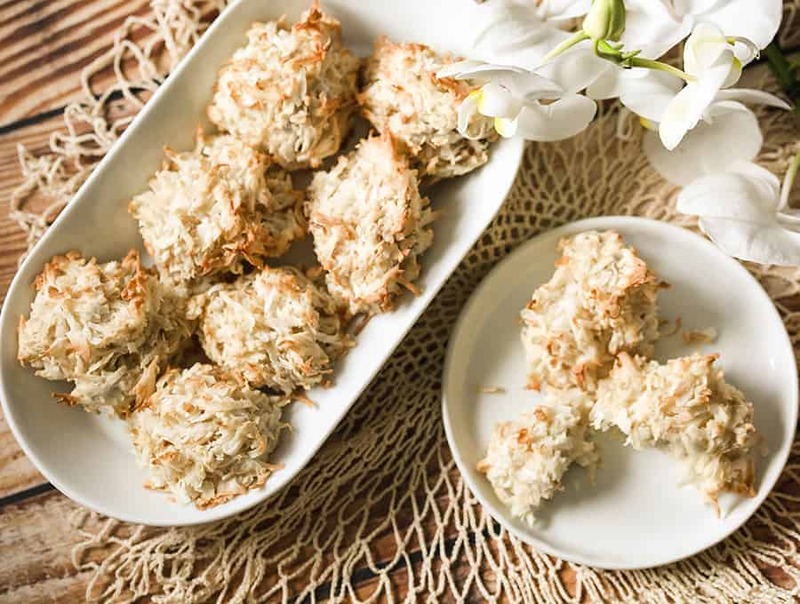 These Keto Coconut Macaroons are deliciously sweet, coconutty and good to the last bite. Best of all, they're gluten free and low carb! Preheat an oven to 400F. Line a 9 x 13 cookie sheet with parchment paper and set aside. 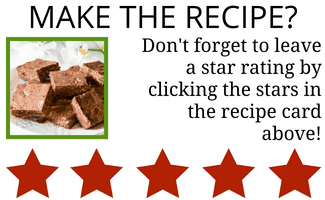 In a large bowl, mix together almond flour, coconut, coconut oil or butter, and vanilla extract and set aside. Using the whisk attachment on your stand mixer, beat together the egg whites and Swerve until stiff peaks form. Gently fold the egg whites into the almond flour mixture. Spoon the mixture onto the cookie sheet to get 10-12 scoops. Bake for 15-16 minutes until the coconut tops start to brown lightly. Remove from oven and let cool before removing from the cookie sheet.